I love making ice cream. 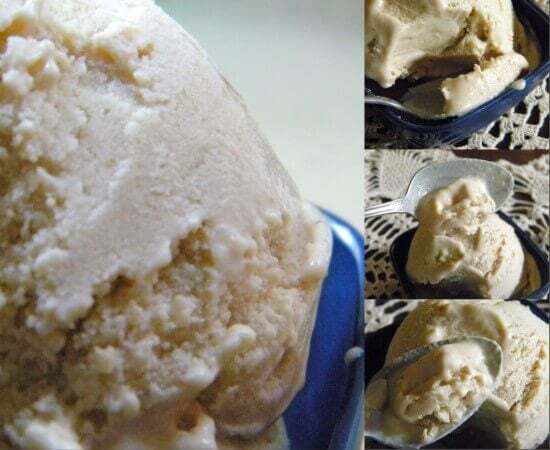 Until I made it for the first time I had never had homemade ice cream…and the differences were amazing. One bite and I never looked back. The trick was to see how many different varieties I could come up with. I mean, that actually tasted good. I found that I liked a creamier, richer ice cream and so I only use a combination of half and half and heavy cream, or all heavy cream. Over the years I have perfected my ice cream to the point that the main changes are in the flavor. Well, Nick’s birthday cake was chocolate mayonnaise cake. It was so rich that I didn’t want a super sweet ice cream to go with it. I went with peanut butter to get in a little of the saltiness. It is fantastic! Use homemade peanut butter if you can. If you don’t make peanut butter then get organic peanut butter that is made with just peanuts and maybe a little oil. You don’t want any added sugars or sweeteners in this. 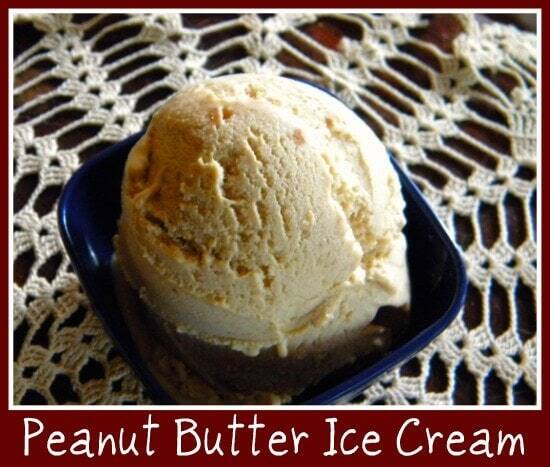 Oh my gosh… this peanut butter ice cream is sooooooo good. The peanut flavor just pops. You take a bite, get the melty, creamy mouthfeel and then the peanutiness sort of hits you…followed by the saltiness. Just try it. It is too hard to explain. Beat the cream until soft peaks form. Set aside. Blend the peanut butter with about two cups of the half and half. Add the remaining half and half and beat smooth. Carefully fold in the heavy cream and freeze according to manufacturer’s instructions. Pack down into storage container and freeze for at least 3 hours. This ice cream recipe looks delicious, who doesn’t need a little more peanut butter in their lives?! 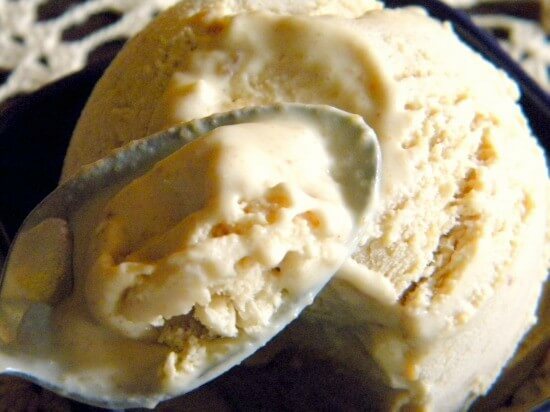 I have never added brown sugar to an ice cream recipe before, I’m curious and excited to try! It has been shamefully long since I’ve had peanut butter ice cream. TOTALLY making this recipe this weekend! Let me know what you think Chrisy! You had me at “peanut butter”. I LOVE PB in so many things, and ice cream is a delicious way to eat one of my favorite things. I admit I’ve never made ice cream before, but this recipe may just get me to finally try it. Thanks for the inspiration! Sounds so good! I love that it is such a simple recipe – can’t wait to try it! Let me know what you think, Sheila! I could so go for a big bowl of that right now covered in hot fudge! YUM! Sounds fantastic! How might I scale this down for a one-quart Donvier? No reason for sorry Marye. Thanks! Sorry Lisa… yep in an ice cream maker.